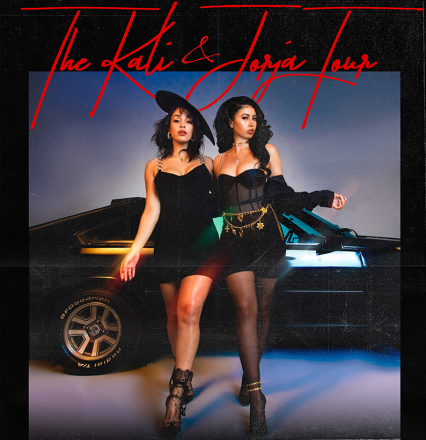 Pop Artist, singer, songwriter, producer Kali Uchis along with her sometime collaborator the 2019 Grammy nominated Jorja Smith bring The Kali & Jorja Tour to the Fillmore Miami Beach at the Jackie Gleason Theater Wednesday, May 8th, 2019 / 8PM. Tickets go on sale Friday, February 15th / 10AM. The stylistic range of left-field pop artist Kali Uchis is reflected in the variety of her collaborators — an extensive genre-crossing list that includes Tyler, the Creator, Gorillaz, Daniel Caesar, Juanes, and BadBadNotGood. A singer, songwriter, and producer, as well as a video director, Uchis truly arrived on her own with the self-released Por Vidaan EP that led to a deal with Virgin EMI. By the time Uchis released her lively debut full-length hit Isolation, she had already been nominated for Grammy awards through her featured appearances on Caesar’s “Get You” and Juanes’ “El Ratico.” Isolation debuted at number 32 on the Billboard 200 and entered the R&B/hip-hop chart at number four. With Isolation, out to massive critical acclaim, Uchis stakes a very convincing claim at being the hot new crossover act to watch. Hop scotching effortlessly between myriad genres, her mellifluous vocals shifting from sassy to angry, sultry to stinging, it is the sound of a musician coming fully, and gloriously, into her own. With a well-deserved 2019 Grammy nomination for Best New Artist to add to her ever expanding list of career achievements, 21 year-old singer songwriter Jorja Smith closed out a stellar 2018. Over the past year Smith received the Brit Critic’s Choice Award, collaborated with the likes of Stormzy, Drake, Kali Uchis and Maverick Sabre and released her critically acclaimed debut album Lost & Found. Tying together R&B, soul and trip hop with her distinctive dulcet-toned vocals, the talented songstress examines the injustices, imbalances and tragic beauty of the world around her with intelligent lyrics and emotional performances. General Admission tickets for Kali Uchis / Jorja Smith, The Kali & Jorja Tour, Wednesday, May 8th, 2019 / 8PM are $49.50 in advance and $52.50 day of show. A limited number of Special Reserved are available starting at $55.00. All tickets are on sale Friday, February 15th / 10AM at LiveNation.com or charge by phone 800-745-3000 and at the Fillmore Box Office during normal business hours (Mon. – Fri., 11AM – 6PM and during show days).